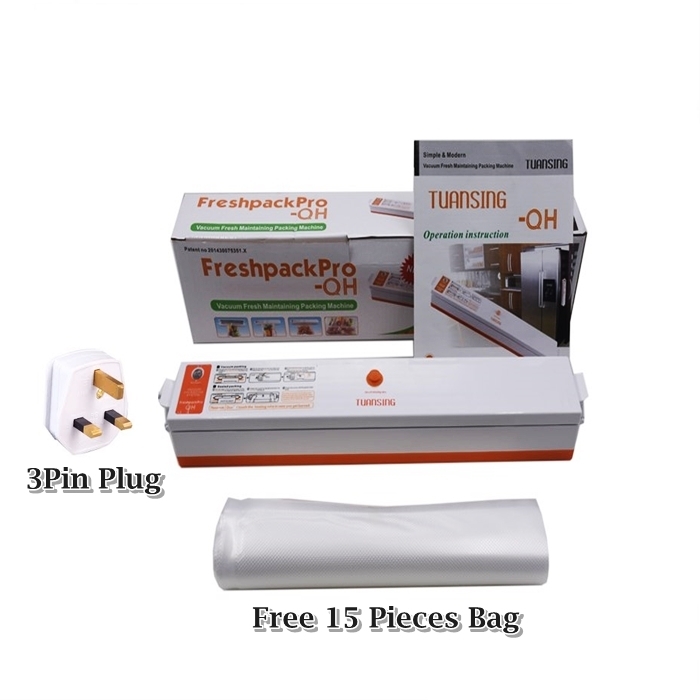 This product is a specialized vacuum packing machine used for plastic vacuum packing and normal plastic sealing. 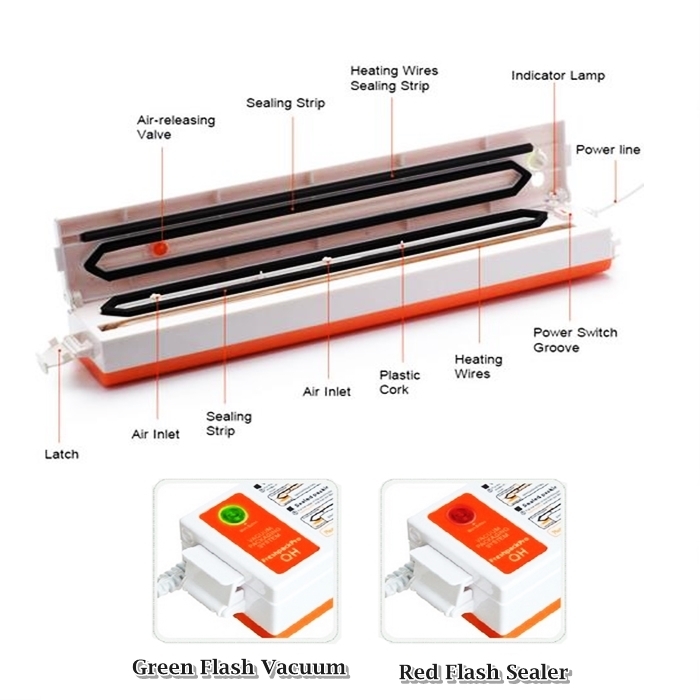 Portable size, solid structure, low power consumption, easy to carry and practical. 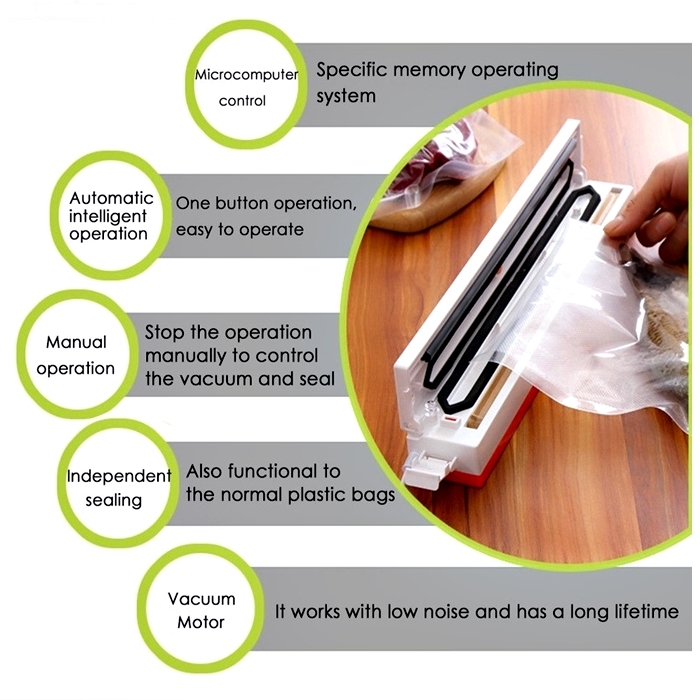 It is an inexpensive and simple way to perfectly reseal unused portions of food and lengthen the preservation time. 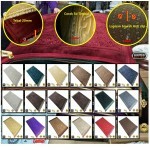 One button operation, it is easy to use. 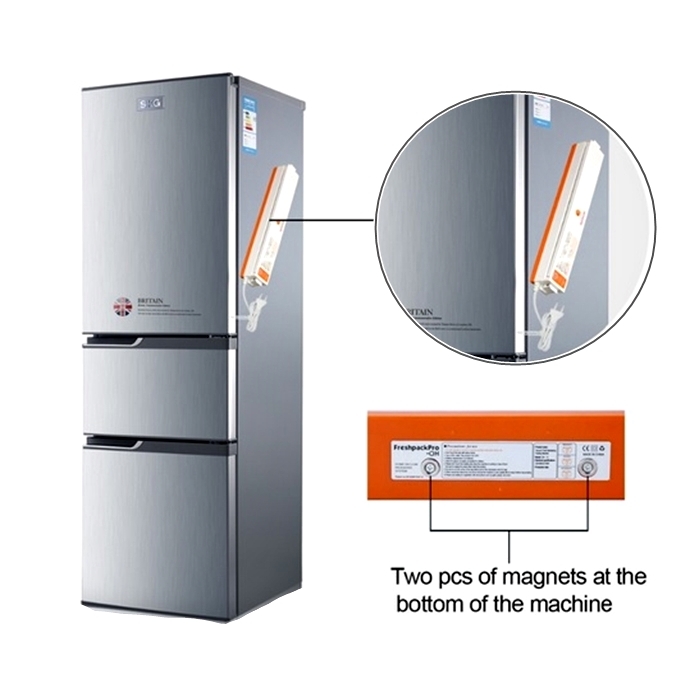 There are magnets on the back which can adhere to the surface of the refrigerator, convenient for storage. 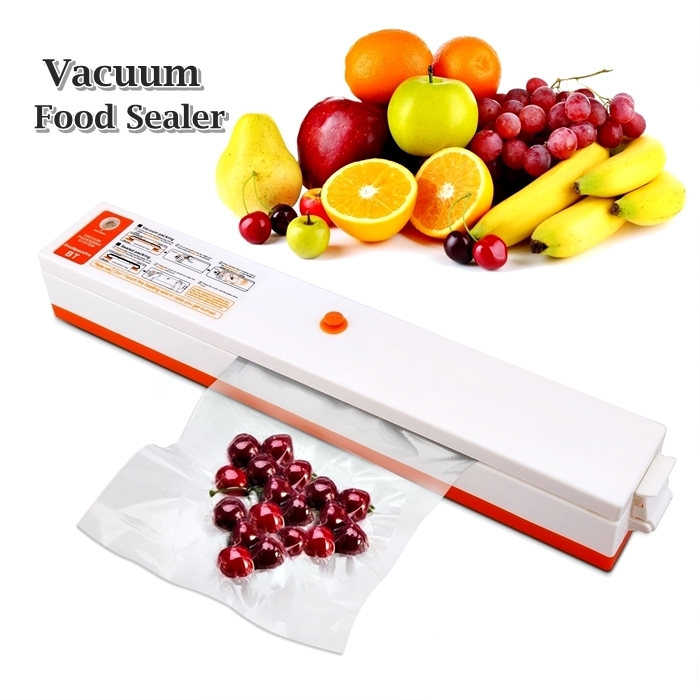 Suitable for various kinds of vegetables, meats, fish, cooked food or other household items, desert and dried food. 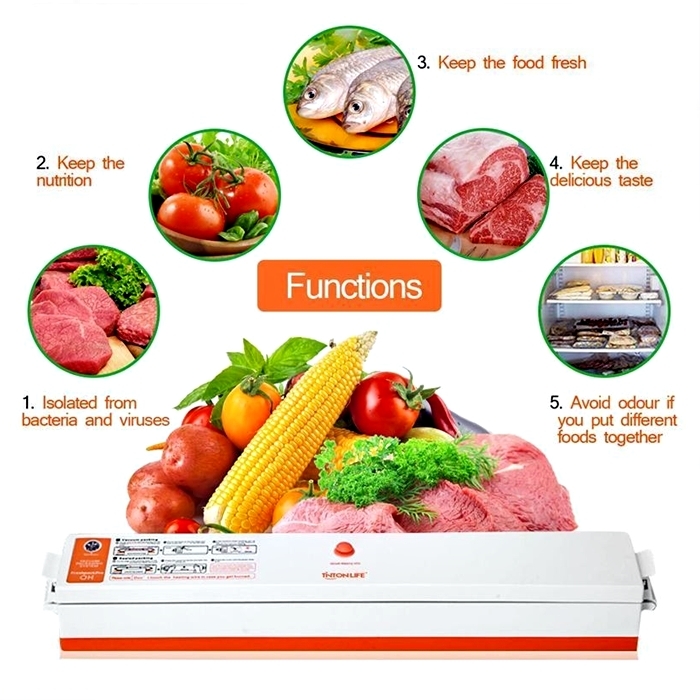 Ideal for kitchen, office, workshop, supermarket use. 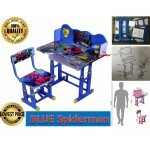 *Portable size, solid structure, low power consumption, easy to carry and practical. *Inexpensive and simple way to perfectly reseal unused portions of food and lengthen the preservation time. 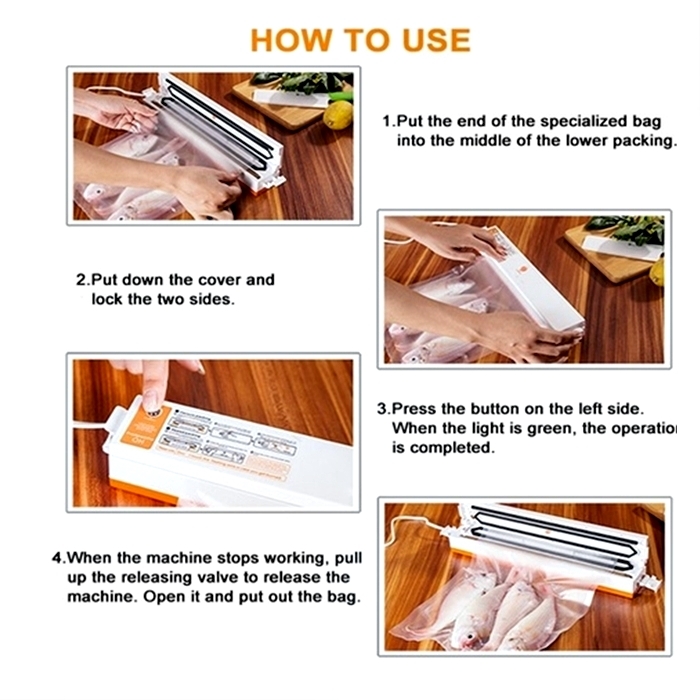 *Automatic and manual control vacuum sealing machine, one button operation, easy to operate. 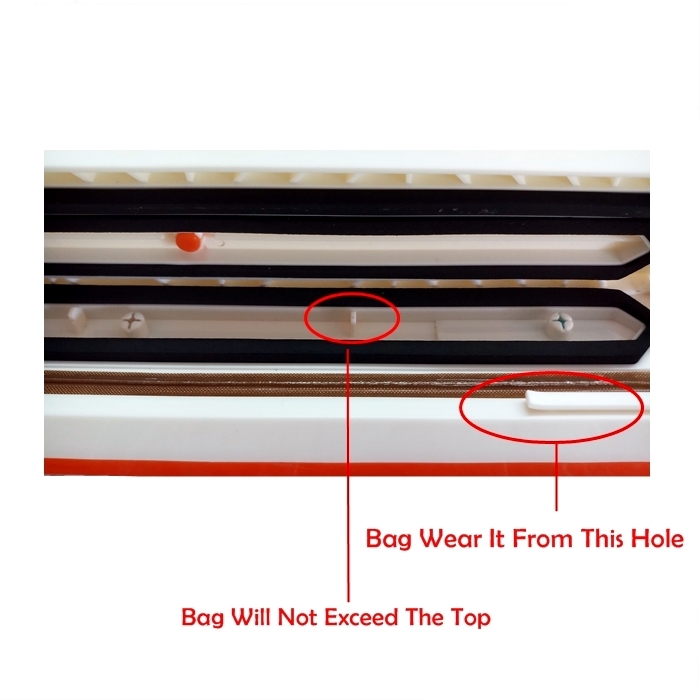 *There are magnets on the back which can adhere to the surface of the refrigerator, convenient for storage. 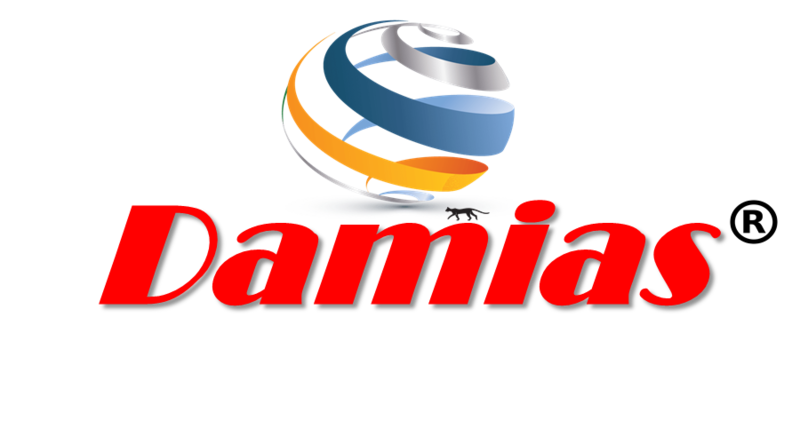 *Suitable for various kinds of vegetables, meats, fish, cooked food or other household items, desert and dried food. 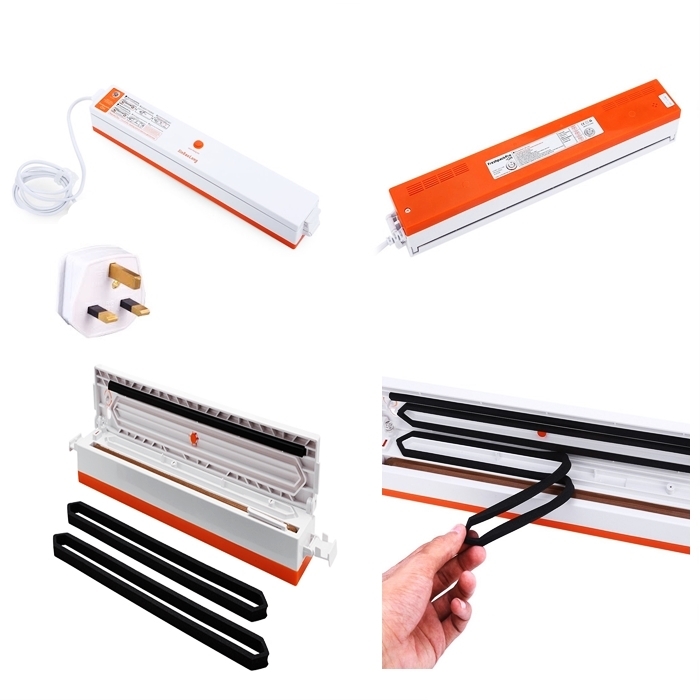 Ideal for kitchen, office, workshop, supermarket use.